Welcome to the Sunshine Coast. The Sunshine Coast is part of the mainland, but access is only by a 45 minute ferry ride from Horseshoe Bay, or you can catch a ferry from Powell River. Entering the Sunshine Coast from the Horseshoe Bay ferry you first arrive in the town of Gibsons. This small community is located on the water with friendly people and tons of shops and restaurants. The first thing many notice when visiting the Sunshine Coast is the fresh air! 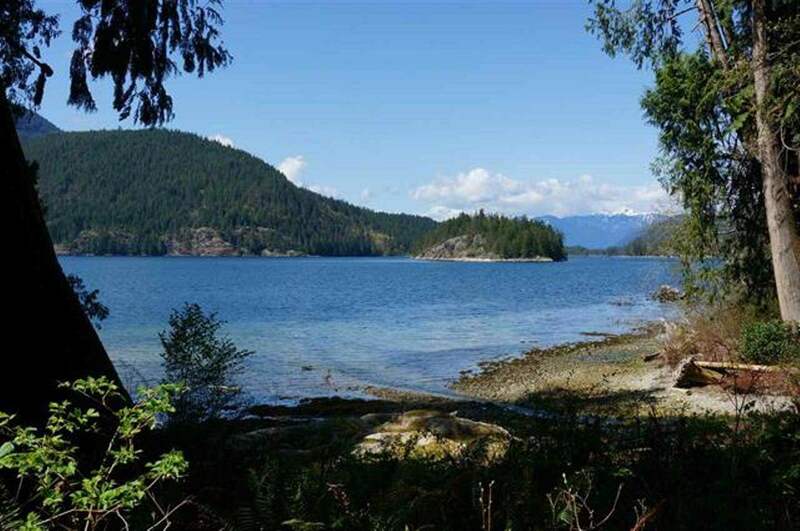 Gibsons has tons of parks and beaches to enjoy the gorgeous views. Gibsons is famous for its North Shore Mountain views beautiful all year round. Located minutes away by boat is Keats, Bowen, Gambier and Paisley island. The Lower Sunshine Coast extends from Port Mellon through Langdale, Gibsons, Roberts Creek, Wilson Creek, Davis Bay, Selma Park, Sechelt, Sandy Hook, West Sechelt, Halfmoon Bay, Secret Cove, Madeira Park, Garden Bay, Egmont and Earls Cove. The Earls Cove Ferry goes to Saltery Bay Terminal which starts the Upper Sunshine Coast areas of Powell River and Lund. My focus is on the Lower Sunshine Coast – Let me introduce you to these areas. Port Mellon –is a small village on the southern tip of the Sunshine Coast. A real short drive from the community of Gibsons and the Langdale BC Ferry Terminal. Port Mellon is the home to the biggest employer of the area, the Howe Sound Pulp and Paper Mill. The mill is British Columbia's oldest forestry operation and also produced the first sheet of paper printed using wood fibre from BC trees. As well as being close to some excellent day hikes and mountain bike routes on the lower Sunshine Coast. Langdale – a residential area of family view homes. Elementary School. GIBSONS– Gibsons is divided into Upper Gibsons and Gibsons Landing. The historical Gibsons Landing, a stunning seaside village is famous for “The Beachcombers” CBC Television series. Molly’s Reach, Gramma’s Pub, the dock and Marina – A Working Harbour. Surrounded by parks, shops and featuring many local artists. Upper Gibsons has become the hub of the town with malls, cinema, recreational complex centre, Brothers park, Curling arena and aquatic centre. Elementary School and High School. Several residential areas including large oceanfront homes, subdivisions, senior or family townhomes, condos and mobile homes. Something for everyone. Gibsons won top nods from the International Awards for Liveable Communities in 2009. ROBERTS CREEK – Part of the Sunshine Coast Regional District – “The Creek” stretches along the shore of Georgia Strait between Gibsons and Wilson Creek. Between 1912 – 1920 the Union Steamship offered daily commutes from Vancouver. Summer visitors built cottages that later became permanent homes. Artists and writers reside. Provincial campground and picnic park. Down Roberts Creek Rd is a community hall, Business area called Roberts creek village, an Elementary School, Gumboot Café, general store, post office. Roberts Creek park and beach area. Roberts creek is a rural area with larger properties and homes with established gardens. Roberts Creek is home to Camp Byng, the Boy scouts camp. 102 Acres, 1000 ft of waterfront, Scouts home since 1922, named after former governor general of Canada: Lord Byng. Wilson Creek - Includes: Haley GM, Canadian Tire, IGA Mall, Gas Station. Airport and other commercial buildings and industries. As well as area of residential homes. Davis Bay, fabulous sandy beaches and waterfront promenade, and park, as well as small area of businesses incl. coffee shops and convenience store. Davis Bay Pier since 1922 under went a retro-fit in 2014. Sunsets are phenomenal. B&Bs, motels and hotels line the highway. Fabulous view homes as the hills rise from the waterfront. Elementary School and daycares. Selma Park, older area, was named after the steamship The Selma. SECHELT: (Shishalh nation) means: Land Between Two Waters as it is 1 km across. From Georgia Strait to Porpoise bay. If you took a boat around it was 70 km. Porpoise Bay features, float planes to Vancouver and Nanaimo, provincial park. The House of Chiefs on Hwy 101, offers native giftshop and museum and cinema. Self-Governed Sechelt Band reserve has the Sand and gravel conveyer belt to the water for barge loading in the bay. Sechelt – downtown: Police station, courthouse, swimming pool and rec centre, municipal hall, library, hospital, many stores and malls. Seaside walks and pier, in the former place of the Sechelt pier where the union steam ships used to dock. Rockwood Lodge: known for the annual Festival of Written Arts. High School and Elementary Schools. West Sechelt an area up Mason or NorWest Bay Rds. Many new subdivisions including some strata properties. Elementary School, convenience store. Halfmoon Bay, turn on Redrooffs Road to Pioneer store , Brooks Rd, entrance to smugglers cove provincial marine park. Walk 25 min. to entrance. Pay Lake, Secret Cove by Mercer Rd. Famous Rockwater resort. PENDER HARBOUR includes the seaside communities of Madeira Park, Garden Bay and Irvine’s Landing. Known as Venus of the North Pacific with its waterways a hub of marine activity. Pender Harbour was named by Capt. George Vancouver, after his friend …Capt. Danial Pender RN.. Features include: Golf Club. Petro Station. East Pender tidal Bay. Rona Bldg Supplies. Irvine’s landing and Garden Bay, 1 hour. Picturesque drive., named for Charles Irvine 1904. Joe Gonzales and Theodore Dans built a store and was a regular stop of the Union steamships. Pender harbour known for its fabulous swimming lakes such as: Sakinaw Lake, known for summer homes. Ruby Lake 8 km (5 miles) Long. Canoeing, and swimming. Lodge and Restaurant. Elementary School and High School. Madeira Park Rd. Named after Joe Gonzales birthplace the Madeira Islands. Shopping Mall, IGA store, Liquer store, and Elementary School, Halls , Ambulance station. Egmont is 7 min drive each way from Hwy 101. North and Waugh Lakes, and entrance to Skookumchuk Narrows…tide can reach up to 14 knots in narrows, ebbs and floods Sechelt inlet. Walk the park trail to view the famous Skookumchuck narrows: 1 hour each way and allow 1 hour to enjoy. Backeddy Road Pub great views of the Sechelt inlet. Many cruises start here, Princess Louisa Inlet and Hotham Sound and Malibu. West Coast Wilderness lodge. Earls Cove BC ferry terminal to Saltery Bay, the division between upper and lower Sunshine Coast. I hope you have enjoyed this quick trip up the Sunshine Coast, please come over and see the areas for yourself. Many diverse and wonderful residential areas abound. Come Visit!